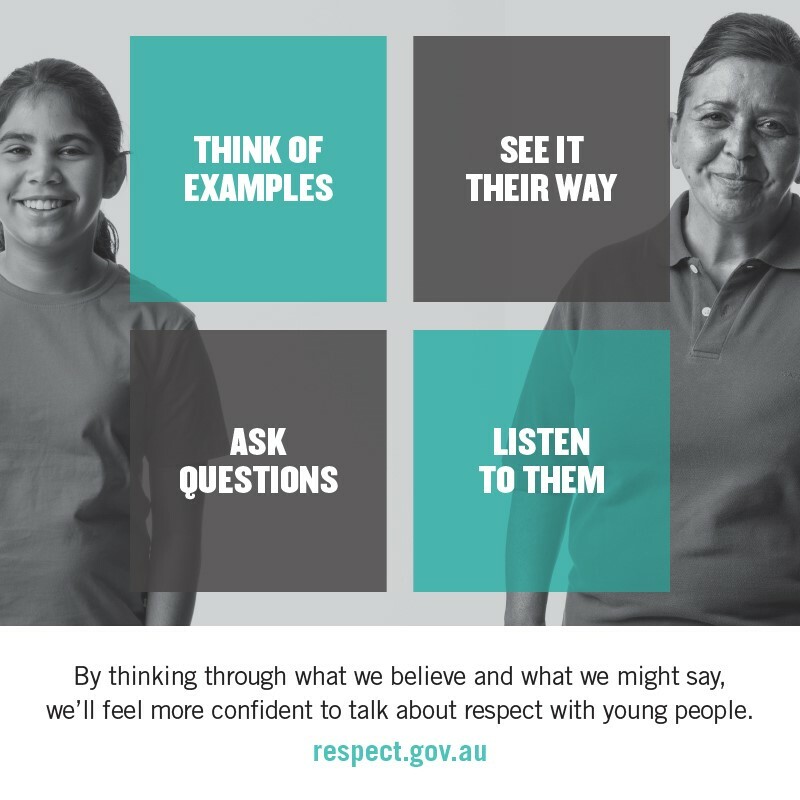 Check out this series of resources to help you take action to promote respectful attitudes within your community. 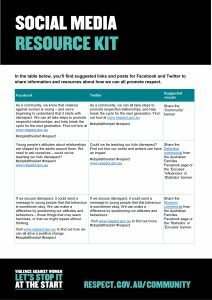 Read the Activity Guide for ideas on how to engage with influencers in your area, and use the posters, newsletter articles, social banners and more to bring your idea to life. 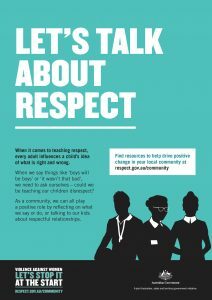 Make sure you use the hashtag #stopitatthestart when sharing your ideas and activities on social media, to join the national conversation about respect. 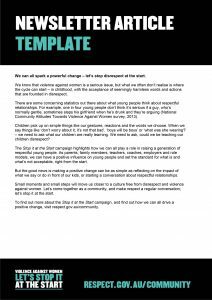 Check out our video ‘Broken Hill sparks a change’ for more ideas on how to promote the Stop it at the Start campaign in your area. 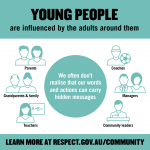 Residents of Broken Hill, including the Mayor, teachers, sporting coaches and other community leaders, held a community workshop to brainstorm activity ideas, and talk about the importance of respectful relationships. 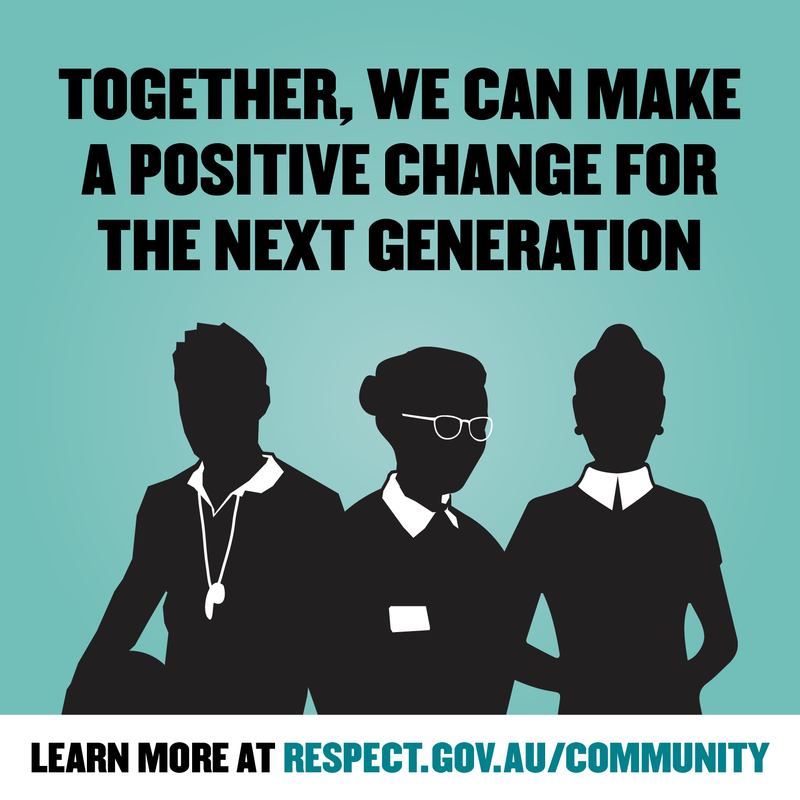 Need ideas for how to spark a positive change? 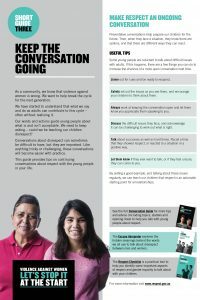 Download this helpful guide for suggestions on where to begin. 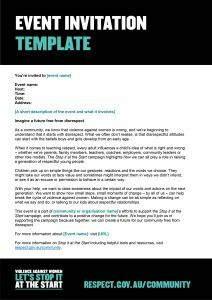 Use the newsletter article template to share information about the campaign with your networks. 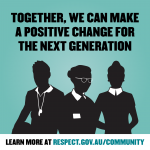 Looking to collaborate with others to promote respect in your community? 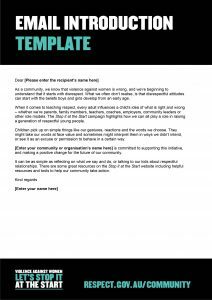 Use our email introduction template to introduce yourself and the campaign. 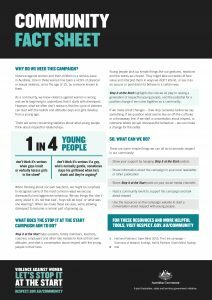 Download and print the campaign fact sheet to share the Stop it at the Start campaign with your community. 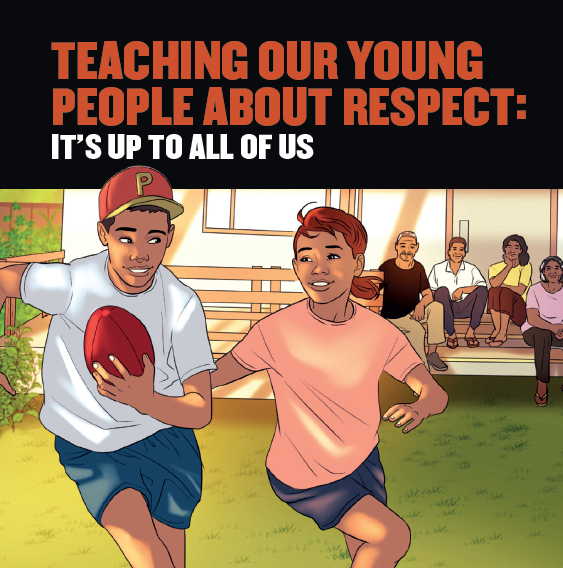 Share the campaign flyer in your office, sporting club, school or community space and start a conversation about respect. 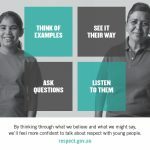 Download the social media kit for ideas on how to promote respect on your online networks, and reach out to others in your community. 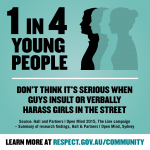 Share this banner on your website to show your support for Stop it at the Start. 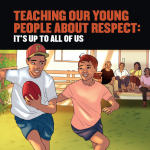 Holding an event or activity to promote respect in your community? 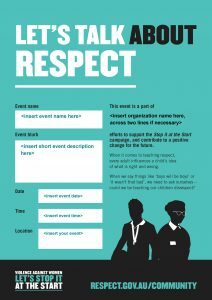 Customise and display the event poster to promote it. 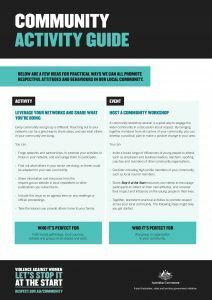 Use this invitation template to encourage members of your community to attend your event or activity. 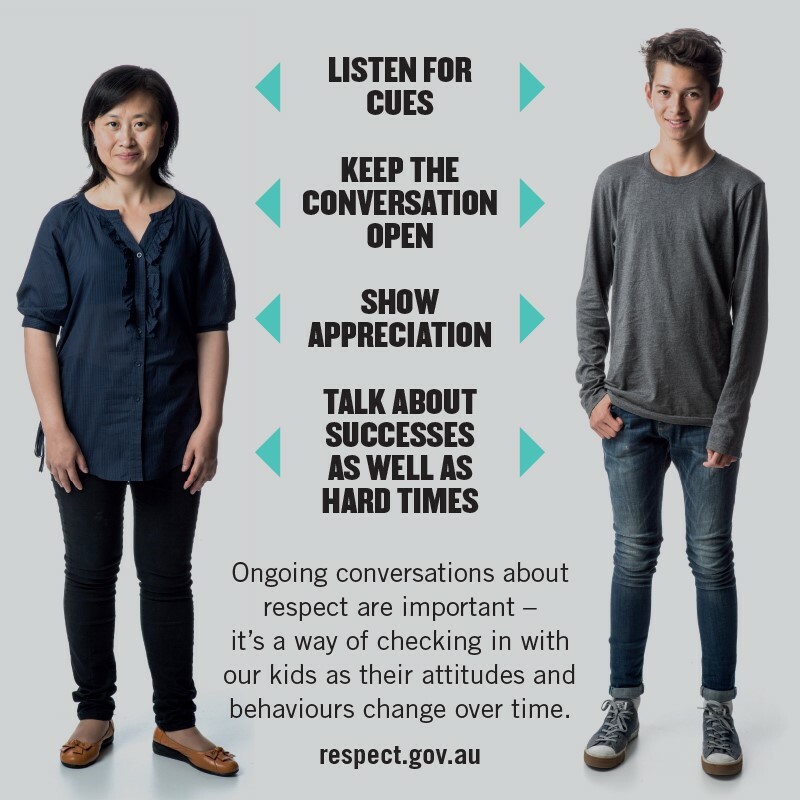 Disrespect isn’t always an easy subject to talk about. 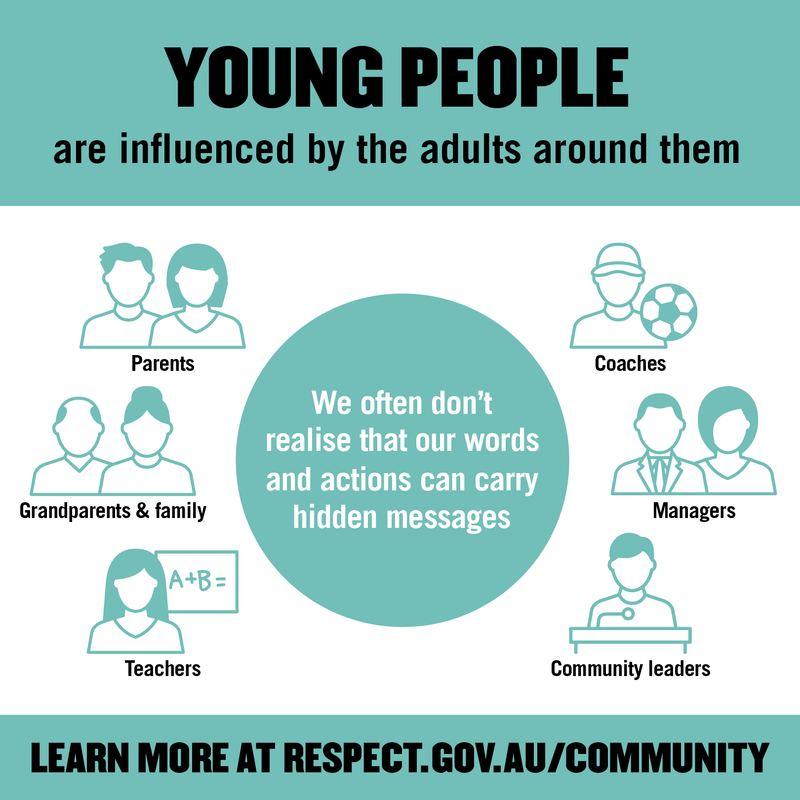 Having the confidence to get started can sometimes be the hardest part. 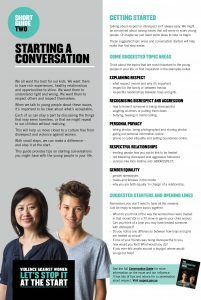 You can find some helpful tools in our Resources section to help you have these conversations, including The Conversation Guide. 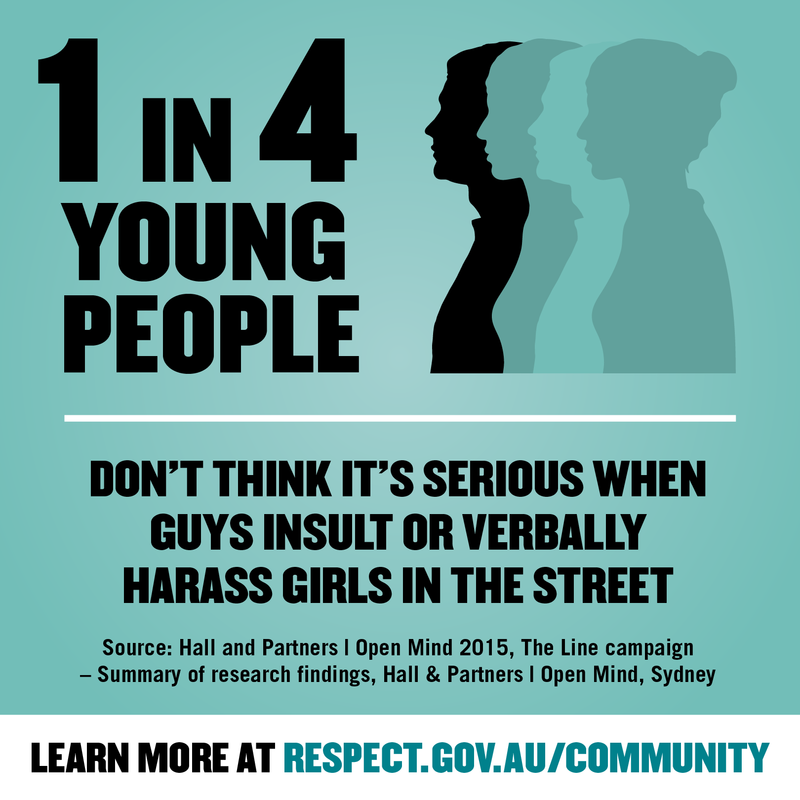 You can read the full guide here, or check out one of our handy quick chat guides below.